After 39 weeks of counting down the most influential artists in Southern Gospel music, it is time to crown the #1 most influential artist in the history of the genre. That honor is given to the Statesmen. Hovie Lister put the Statesmen together in 1948 to receive airtime on WCON in Atlanta GA. The original group consisted of Bobby Strickland (tenor), Mosie Lister (lead), Bervin Kendrick (baritone) and Gordon Hill (bass). It wasn’t long until Jake Hess would replace Mosie Lister as lead singer for the Statesmen. Jake would be a fixture with the group until he left to form the Imperials in 1963. The most famous iteration of the Statesmen came about in 1958 when Rosie Rozell became the group’s tenor. He joined Hess (lead), Doy Ott (baritone), James Wetherington (bass) and Hovie (pianist) to create the quartet that all future quartets would be measured. Several of the group’s biggest recordings were released during this time. They include Get Away Jordan, Mystery Of His Way, On Stage, Out West and Through The States among others. Jake Hess would be the first to depart from this all-star line-up. Jack Toney came aboard as lead singer in 1963 to help contribute to the quartet’s success. He would remain with the group until 1968. The Statesmen legacy came to an initial end in 1981 when Hovie finally decided to retire the quartet. He would come together with Rozell (tenor), James Blackwood (lead), Hess (baritone) and JD Sumner (bass) to form the Masters V shortly after. Hovie decided the Statesmen legacy needed one more run and he put the quartet back together in 1992. This allowed a newer generation to experience the awesomeness of the Statesmen. The group would continue in to 2001, the same year that would bring Hovie’s passing. The Statesmen were instrumental in introducing large crowds to what is now known as Southern Gospel music. With the help of the Blackwood Brothers, the two groups dominated the 1950’s, singing to sell out crowds all over the country. The Statesmen’s flair for performance and proper singing allowed for future generations of Southern Gospel quartets to find success. 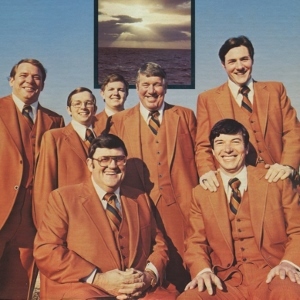 The Statesmen’s dominance came before Southern Gospel radio airplay charts and awards programs. 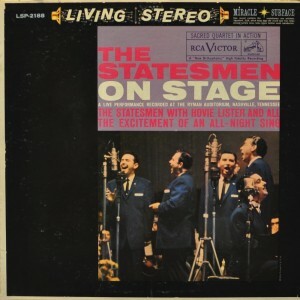 If they were around in the 1950’s/1960’s, there is no doubt the Statesmen would’ve won many awards and had many #1 hits. The group was inducted in to the Gospel Music hall of fame in 1998. Members of the Statesmen that have been inducted in to the Southern Gospel music hall of fame include Denver Crumpler (1997), Jake Hess (1997), Hovie Lister (1997), Doy Ott (2000), Rosie Rozell (1999), Bobby Strickland (2003), Jack Toney (2005) and James Wetherington (1997). Many great quartet men spent time with the Statesmen. In addition to those already mentioned: Ray Burdette, Buddy Burton, Bob Caldwell, Elmer Cole, Johnny Cook, Biney English, Rick Fair, Cat Freeman, Chris Hess, Ed Hill, Jim Hill, Roy McNeal, Shaun Neilsen, Tommy Thompson and Willie Wynn among others. 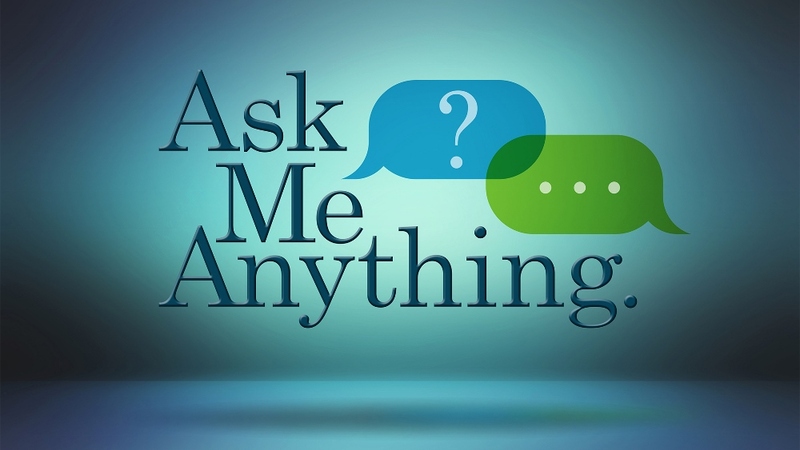 Known Songs: “Bible Told Me So”, “Brighten The Corner Where You Are”, “Come Out With Your Hands Up”, “Common Man”, “Death Ain’t No Big Deal”, “Every Time I Feel The Spirit”, “Get Away Jordan”, “Glory Glory Clear The Road”, “God’s Not Dead”, “Great Physician”, “He Set Me Free”, “He Will Never Let Me Down”, “He’s A Personal Savior”, “Hide Thou Me”, “I Believe In The Man In The Sky”, “I Know He Heard My Prayer”, “I Know It Was The Lord”, “I Wanna Know”, “If You Drink This Water”, “I’ll Meet You By The River”, “I’m Climbing Higher And Higher”, “I’ve Got The Corners Turned Down”, “Just A Little While”, “Known Only To Him”, “Live Like Jesus”, “Lived And He Loved Me”, “My Home”, “Mystery Of His Way”, “Oh My Lord What A Time”, “Oh What A Savior”, “Old Landmark”, “Sing Brother Sing”, “Something To Shout About”, “Something Within”, “Stop Look And Listen For The Lord”, “Surely I Will Lord”, “Sweet Jesus”, “Thanks To Calvary”, “They That Sow”, “Those Tender Hands”, “Wade On Out”, “Wait Til You See Me In My New Home”, “Wake Me Shake Me Lord”, “We’ve Come This Far By Faith”, “When He Calls I’ll Fly Away”, “Where No One Stands Alone”, “Where The Milk And Honey Flow”, “You Can’t Shake The Rock”, “You Sho Do Need Him Now” and “You’d Better Run”. Here are several YouTube clips of the Statesmen at their best. Enjoy! 1. “When He Calls, I’ll Fly Away” (published by statesmenfan). 2. “Get Away Jordan” (published by statesmenfan). 3. “Come Out With Your Hands Up” (published by akdal83). The top five most influential artists in Southern Gospel music nearly wraps up this week with the artist ranked 2nd; the Cathedrals. The Cathedral Trio formed in 1963 with Bobby Clark, Danny Koker and Glen Payne. The name came about as a result of the group being formed at the Cathedral of Tomorrow in Akron, OH. George Younce would come aboard as bass singer in 1964 and the Cathedral Quartet was born. The group struggled in the 1970’s trying to gain a foothold in the industry. The Cathedrals experienced quite a few personnel changes during the decade. It wasn’t until the early 1980’s that the group would find some stability and finally become a top-tier group. 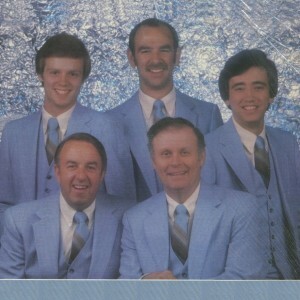 The early 1980’s line up of Kirk Talley (tenor), Payne (lead), Mark Trammell (baritone), Younce (bass) and Roger Bennett (piano) won favorite group at the Singing News fan awards in ’82 and ’83. This line-up released two of the group’s biggest recordings with Something Special and Live In Atlanta. The group didn’t miss a beat when Talley was replaced by Danny Funderburk in late ’83. By the time the 1990’s rolled around the Cathedrals were on top of the Southern Gospel world as the final line-up of Ernie Haase (tenor), Payne (lead), Scott Fowler (baritone), Younce (bass) and Bennett (piano) dominated that decade. The Cathedrals legacy came to and end in 1999 when the group decided to retire. Original member Glen Payne ended up passing before the group was able to finish their final set of concerts. The group went out on top and the groups that were born out of the Cathedral legacy continue to find huge success in Southern Gospel music. 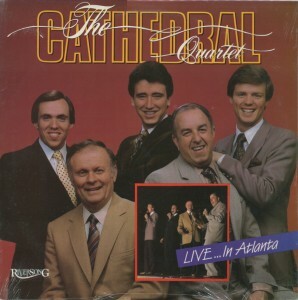 The Cathedrals won 78 Singing News fan awards during the course of the career including song of the year in 1983 (“Step In To The Water”) and 1995 (“Jesus Has Risen”). The group was no stranger to the Dove awards winning a total of 14 during their career. Members of the Cathedrals that have been inducted in to the Southern Gospel music hall of fame include Roger Bennett (2007), Glen Payne (1997) and George Younce (1998). The group was also inducted in to the Gospel Music hall of fame in 1999. The Cathedrals influence is felt greatest in the many groups born of out their legacy: Greater Vision, Heartland Quartet, Legacy Five, Mark Trammell Quartet, Mercy’s Way, Perfect Heart and Ernie Haase & Signature Sound. The many individuals who joined Glen and George over the years should not be forgotten: Roger Bennett, Bobby Clark, Haskell Cooley, Bill Dykes, Scott Fowler, Danny Funderburk, Jim Garstang, Ernie Haase, Roger Horne, Danny Koker, Steve Lee, Lorne Matthews, Kirk Talley, Mark Taunton, Mark Trammell, Roy Tremble, George Amon Webster, Gerald Wolfe and Kurt Young. Hit Songs: “An Old Convention Song”, “Blood Washed Band”, “Boundless Love”, “Can He Could He Would He”, “Champion Of Love”, “Climbing Higher And Higher”, “Even Winds Whisper His Name”, “God Delivers Again”, “Gonna Shout All Over Heaven”, “Have You Visited Heaven Lately”, “He Loves Me”, “He Made A Change”, “Healing”, “I Can See The Hand”, “I Saw Love”, “In The Depths Of The Sea”, “It’s Alright”, “It’s Not What’s Over The Door”, “I’ve Been With Jesus”, “I’ve Just Started Living”, “I’ve Read The Back Of The Book”, “Jesus Is Right”, “Jesus Has Risen”, “Jesus Saves”, “The Last Sunday”, “The Laughing Song”, “Master Builder”, “Mexico”, “Movin’ Up To Gloryland”, “Plan Of Salvation”, “Romans 8:28”, “Sin Will Take You Farther”, “Somebody Loves Me”, “Somebody Touched Me”, “Step In To The Water”, “Still Drinking Water From The Well”, “Sunshine And Roses”, “That’s Just Like Jesus”, “Then Came The Morning”, “Then I Found Jesus”, “This Ole House”, “Thus Saith The Lord”, “Trying To Get A Glimpse”, “We Shall See Jesus”, “Wedding Music”, “Who Can Do Anything”, “Worthy The Lamb”, “Yesterday” and “You Can Walk On Water”. Of all the songs the Cathedrals recorded in their career, one of my favorites was “I Can See The Hand”. Here is a YouTube clip (published by BnCSGMusic) of the Cathedrals performing the song. Enjoy! The top five most influential artists in Southern Gospel music continues this week with the artist ranked 3rd; the Hinsons. The Hinson siblings began singing in their home state of California in 1967. The siblings included Ronny, Yvonne, Kenny and Larry. 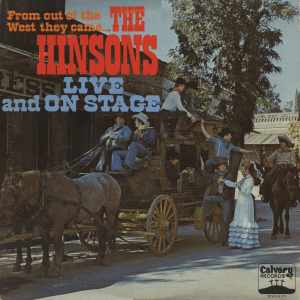 Calvary Records, also based in California, released the Hinsons first two albums in 1970. Calvary Records would service the Hinsons their entire recording career. In 1974, the first vocal personnel change would occur when sister Yvonne vacated and left the position for another California native, Chris Hawkins. Those following Southern Gospel music in 2013 would know that young lady as Chris Freeman. Not only were the Hinsons becoming one of the biggest Southern Gospel groups of the 1970’s/1980’s, but Ronny, Kenny and Larry were also writing some of the biggest Southern Gospel songs of the 1970’s. Ronny penned one of Southern Gospel’s greatest songs in “The Lighthouse”. The Hinsons energetic stage presence and country sound/style changed the landscape of Southern Gospel music. No other mixed group in Southern Gospel music has influenced the sound that still permeates today in many Southern Gospel artists. Kenny Hinson has been one of the most imitated lead singers, in the history of this genre, by many young singers. The Hinsons retired in 1988 and would return in 1992 to release one more album and do one final (short) tour before Kenny’s untimely passing in 1995. The Hinsons picked up 12 Singing News fan awards during the course of their career, including favorite group in 1979. The group also garnered four #1 hits, their biggest being “Call Me Gone”. Kenny Hinson is currently the only member of the group to be inducted in to the Southern Gospel music hall of fame (2004). The Hinsons were inducted in to the Gospel Music hall of fame in 2006. The Hinsons energetic stage presence and country sound/style paved the way and influenced the following artists: 11th Hour, Austins Bridge, Back Home, Bishops, Bowling Family, Bradys, Browders, Cedar Ridge, Comptons, Crabb Family, Crawford Crossing, CrossWay, Days, Dunaways, Jeff & Sheri Easter, Freemans, Chris Hester, Hoskins Family, Kindlers, MaHarreys, McFalls, McGruders, McKameys, Mullins, New Hinsons, Karen Peck & New River, Paynes, Reinhardts, Rhythm Masters, Roy Knight Singers, Sons Family, Stubborn Love, Whisnants and Wisecarvers. Hit Songs: “Ain’t That What It’s All About”, “Burdens Are Lifted Away”, “Call Me Gone”, “Campmeeting Days”, “Come To The Water”, “God That Cannot Fail”, “God’s Gonna Do The Same For You And Me”, “Hallelujah Meetin”, “He Pilots My Ship”, “He Will Calm The Troubled Waters”, “Heaven Is Mine”, “Homesick To Go”, “House Of A King”, “I Begin To Feel The Fire”, “I Like The Promise”, “I Won’t Walk Without Jesus”, “I’ll Never Be Over The Hill”, “I’m So Glad He Found Me”, “The Journey”, “Joy Comes In The Morning”, “Let Me Tell You His Name Again”, “The Lighthouse”, “Little Store Front Church”, “Mercy Built A Bridge”, “Old Brush Arbor Days”, “Old Time Feeling”, “Original Superman”, “Put Me Down”, “Sea Walker”, “Shining In”, “Sing One More Song About Heaven”, “Soldier In The Army”, “Something Keeps Pulling Me Home”, “Soul Fillin Station”, “That I Could Still Go Free”, “There’s Gonna Be Some Changes Made”, “Till The Land”, “Too Many Times”, “Touch Of The Master’s Strong Hand”, “Two Winning Hands”, “Who Is On The Lord’s Side” and “You Can’t Hold Back The Dawning”. There are not many classic Hinson clips on YouTube that don’t have over 100,000 views. So I am sure no matter what clip I chose, you will have already seen it. I chose this clip of the Hinsons performing “Old Time Feeling” (published by Bobby Bowen) from PTL in 1987. Enjoy! The top five most influential artists in Southern Gospel music continues this week with the artist ranked 4th; Gold City. 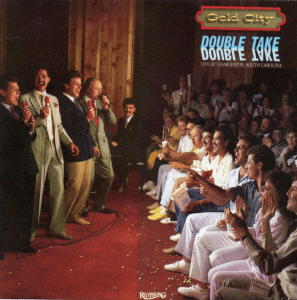 Gold City is the definition of overnight success in terms of the length of time it takes most groups to rise to prominence in Southern Gospel music. The group started in 1980 (Tim Riley joining in July of that year). The following year, the group was already performing at the National Quartet Convention and then in 1982 the group found immediate success with their debut mainline release; Live. By the mid 1980’s, Gold City started racking up #1 hits on the Singing News charts, the first being “I Think I’ll Read It Again” in 1984. The vocal line-up of Brian Free (tenor), Ivan Parker (lead), Mike LeFevre (baritone) and Tim Riley (bass) is considered one of the greatest in the history of the genre. This line-up dominated the quartet world for approximately six years. Changes would come to Gold City when Mike LeFevre and then Brian Free and Ivan Parker would exit the group in the early 1990’s. The group would take several years to re-group, but found a second wind in the late 1990’s when the vocal line-up of Jay Parrack (tenor), Jonathan Wilburn (lead), Mark Trammell (baritone) and Riley (bass) would try to rival the successes of the late 1980’s line-up. The Riley family would suffer a tragic loss in 2006 with the passing of Doug Riley. Tim Riley would retire from the road giving Southern Gospel listeners a Gold City without Riley’s unmistakable bass voice. Tim would return to Gold City in 2009 to the delight of the Southern Gospel listening audience, where he remains in 2013. Gold City is one of the most awarded groups in Singing News fan awards history. The group has garnered a total of 67 awards during the course of their career. They have also picked up 10 #1 hits on the Singing News chart. Gold City captured one Dove award in 1993 for Southern Gospel recorded song of the year (“There Rose A Lamb”). Gold City’s dominance in the quartet world has influenced many quartets that have come after. They include: Anchormen, Brian Free & Assurance, Chosen Few, Crimson River, Cross 4 Crowns, Cumberland Quartet, Down East Boys, Journeymen Quartet, Kingdom Bound Quartet, LeFevre Quartet, Mark Trammell Quartet, Mercy’s Mark Quartet, N’Harmony, Poet Voices, Safe Harbor and The Sound. Shout out also goes to Tim Riley for becoming the first Gold City member to be inducted in to the Southern Gospel music hall of fame. That will occur this year. Hit Songs: “Ain’t God Good”, “Angels Move Over”, “Are You Ready”, “Between Me And The Storm”, “By Your Grace For Your Glory”, “Calvary Came Through”, “Child Of The Light”, “Cool Drink Of Water”, “Four In The Fire”, “Get Up, Get Ready”, “God Handled It All”, “God’s Building A Church”, “Going, Going, Gone”, “Greatest Of All Miracles”, “He Said”, “He Threw Out A Lifeline”, “He’ll Never Let Go Of My Hand”, “He’s Still On The Throne”, “Hide Me Behind The Cross”, “Holy Anointing”, “How Deep Is The Water”, “I Believe”, “I Cast My Bread Upon The Water”, “I Get Down”, “I Think I’ll Read It Again”, “I Want To Walk With My Lord”, “I’m Getting Ready To Leave This World”, “I’m Not Giving Up”, “I’m Not What I Was”, “If God Be For Us”, “In My Robe Of White”, “In Time, On Time, Every Time”, “It’s Just Another Red Sea”, “It’s Still The Cross”, “John Saw”, “Just Like You”, “Lord Of Life”, “Love Went Deeper”, “Mercy Rescues Me”, “Midnight Cry”, “No Other Word For Grace But Amazing”, “Nobody’s There”, “Once Upon A Hill”, “One More Time Will Do It”, “One Scarred Hand”, “Peter, James And John”, “Preach The Word”, “Shoutin’ Ground”, “Show Me The Cross”, “That Little Baby”, “There Rose A Lamb”, “Truth Is Marching On”, “Walk On”, “We’re Gonna Rise”, “What Children Believe”, “When I Get Carried Away”, “Windows Of Home” and “Who But God”. Here is a YouTube clip (published by JakesMuzik), of Gold City (from 1985) performing their first #1 hit; “I Think I’ll Read It Again”. Enjoy! The top five most influential artists in Southern Gospel music kicks off this week with the artist ranked 5th; the Speer Family. 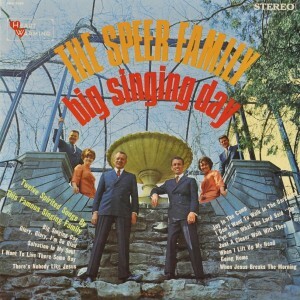 The Speer Family will be forever credited as the first family/mixed group in Southern Gospel music, beginning in 1921. 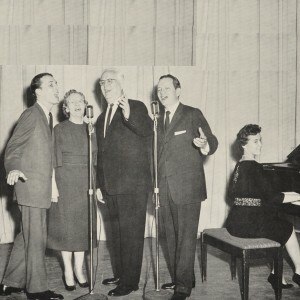 In an era when song book quartets were traveling, singing and selling song books, the Speer Family began their singing career with George (dad), Lena (mom), George’s sister Pearl Claborn and her husband Logan. In the beginning, the group sang throughout the southeast United States singing both Gospel music and secular/mainstream music of that time. When Pearl and Logan left the group, George and Lena called on their children to join the group. Brock, Mary Tom, Rosa Nell and Ben all became accomplished singers and musicians at the instruction of Dad Speer. As the children got older and began getting married, the sisters would leave the road opening up for Brock’s wife, Faye to join the group. The Speer Family is also credited as having one of the first 12″ LPs released on RCA Victor in 1955 titled The Speer Family Album. The Speer Family’s success continued in to the 1960’s. Then the Gospel music community lost George Speer in 1966 and Lena followed a year later (1967). Brock and Ben could have decided to stop singing after the loss of their parents, but instead they soldiered on and carried the Speers to even greater success in the 1970’s. The Speer Family legacy finally came to end in 1996 when the group celebrated 75 consecutive years in Southern Gospel music. The influence the Speer Family would forever have on the opening landscape of having more than just all male quartets singing this style of Gospel music will never be forgotten. Every mixed/family group that ever found success in Southern Gospel music can thank the Speer Family. It is hard to believe the Speer Family only ever won, one Singing News fan award when Jane Greene won horizon individual in 1989. They had greater success at the Dove awards winning 11 Dove awards, including mixed group of the year eight times and Southern Gospel album of the year in 1975 (I Just Feel Like Something Good Is About To Happen) and 1976 (Between The Cross And Heaven). The Speer Family have also found a home in the Gospel music hall of fame, being inducted in 1998. George Speer (1997), Lena Speer (1997), Brock Speer (1997), Mary Tom (2006), Rosa Nell (2005), Ben Speer (1998) and Harold Lane (2009) are all Southern Gospel hall of fame inductees. As already mentioned every mixed/family group that came after can credit their success to the Speer Family. The Speer Family alumni, in addition to those already mentioned, include Karen Apple, Kelly Back, Joyce Black, Sue Dodge, Ann Downing, Jane Greene, Bill Itzel, Bob Johnson, Jeanne Johnson, Harold Lane, Sherrill Nielsen, Linda Robinson, Ginger Smith, Marc Speer, Michael Speer, Steve Speer, Susan Speer, Caroline Traylor, Daryl Williams and Charles Yates. Hit Songs: “All Because Of God’s Amazing Grace”, “Before The Rocks Cry Out”, “Between The Cross And Heaven”, “Broken Pieces”, “Child Of The King”, “Church Of The Living God”, “Church Triumphant”, “City Coming Down”, “Cornerstone”, “Dearest Friend I Ever Had”, “Didn’t It Rain”, “God Gave The Song”, “God’s Love”, “Hallelujah He’s Coming Again”, “Hallelujah Time”, “He Still Reigns”, “Heaven’s Jubilee”, “Here Comes The Bride”, “He’s Ever Interceding’, “He’s On The Throne”, “He’s Still In The Fire”, “I Just Began To Live”, “I Just Feel Like Something Good Is About To Happen”, “I Never Shall Forget The Day”, “I Was There When It Happened”, “In The Midst Of It All”, “It Had To Be Love”, “I’m Bound For That City”, “Jesus (He Is The Son Of God)”, “Joy In The Camp”, “The King Is Coming”, “Let’s Just Praise The Lord”, “Miracles Will Happen On That Day”, “Next Time He Comes”, “Old Fashioned Meeting”, “Old Rugged Cross Made The Difference”, “Pity The Man”, “Rock I’m Leaning On”, “Saved To The Uttermost”, “Spirit Will Come Down”, “Steppin Out On Faith”, “Time Has Made A Change”, “What Sins Are You Talking About”, “When Jesus Breaks The Morning” and “Won’t We Be Happy”. Here is a YouTube clip (published by Edwin Miolen) of the Speer Family performing “Child Of The King”. Enjoy! The top ten most influential artists in Southern Gospel music continues this week with the artist ranked 6th; the Kingsmen. Started in 1956 by the McKinney brothers (Louis, Raymond and Reese) along with pianist Charles Matthews, the Kingsmen were born. The man most Southern Gospel listeners relate to the Kingsmen, Eldridge Fox, first came to the Kingsmen in 1958. Eldridge would leave the group in 1960 only to return in 1964. By 1970, Eldridge Fox became owner of the group and remained so until his passing in 2002. Eldridge steered the Kingsmen to success in the 1970’s, but it was the 1980’s that were the ‘glory days’ for this quartet. It was in 1971 when another man synonymous with the Kingsmen legacy joined, Jim Hamill. To this day, Jim is recognized as one of the greatest Southern Gospel emcees of all time. Hamill knew how to read a crowd and rework a program based on the crowd. He was truly a master at getting a crowd in the palm of his hand and holding them there for the group’s entire set. It is hard to find an emcee nowadays with Hamill’s abilities. 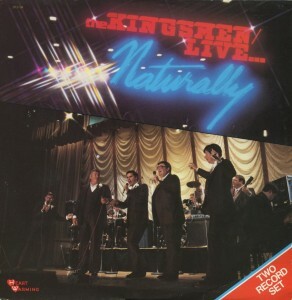 The Kingsmen became leaders in the recording of live albums. I don’t know of any other Southern Gospel artist in the history of this genre who recorded more live albums than the Kingsmen. Some of their biggest include Better In Person, Big & Live, Chattanooga Live, Georgia Live, Live At The University Of Alabama, Live In Dayton, Live…Naturally, Mississippi Live, Singin In The Sun Live and Stand Up At Opryland USA. The Kingsmen’s ‘three chords and a cloud of dust’ style is what made the Kingsmen who they were. So many young quartets have patterned their style/music after this approach. The legacy started in 1956 continues in 2013 with bass singer Ray Dean Reese at the helm. The group is working toward their 60th anniversary in Southern Gospel music. The Kingsmen have garnered 56 Singing News fan awards during the course of their career including favorite group in 1980 and 1985. The Kingsmen have picked up three Dove awards for Southern Gospel album of the year in 1974 (Big & Live), 1978 (Chattanooga Live) and 1980 (From Out Of The Past). The Kingsmen were inducted in to the Gospel Music hall of fame in 2000 and Anthony Burger (2007), Eldridge Fox (1998), Jim Hamill (2004), Squire Parsons (2008) and Ray Dean Reese (2008) have all been inducted in to the Southern Gospel music hall of fame. As already mentioned, the Kingsmen’s ‘three chords and a cloud of dust’ style has been used by many young quartets that include: Anchormen, Called Out Quartet, Carolina Boys, Crossmen Quartet, Down East Boys, Journeymen Quartet, Kingdom Bound Quartet, Old Paths, Paul’s Journey, Skyline Boys, Soul’d Out Quartet and the Woodsmen. Hit Songs: “A Place Where The Hungry Are Fed”, “Anchors Aweigh”, “Angels Are Hard To Find”, “Apple Tree Song”, “Back To Grace”, “Beautiful Home”, “Behold The Maser Cometh”, “Called Out”, “Child, Child”, “Cloud He’s Coming Back On”, “Cross Has Won Again”, “Empty Vessel”, “Even John Couldn’t Tell It”, “Excuses”, “Getcha To The Other Side”, “Glory Road”, “Go And Tell Somebody”, “God Can Save Anybody”, “God Saw A Cross”, “Gonna Be Movin”, “He Did Not Fail”, “He’s All I Need”, “He’s Everything I Need”, “He’s Still Living”, “Hello Mama”, “I Can’t Even Walk”, “I Stand Upon The Rock Of Ages”, “I Will Rise Up From My Grave”, “I’d Rather Be An Old Time Christian”, “I’ll Have A New Song”, “I’ll Live Again”, “I’ll Not Turn Back”, “I’m Glad I’m Serving A God”, “I’ve Got A Reservation”, “I’ve Made A Covenant With My Lord”, “Is That The Old Ship Of Zion”, “It Made News In Heaven”, “Jesus Is Coming For Me”, “Jesus Knows My Name”, “Joy’s Gonna Come”, “The Judgement”, “Just A Little Closer Home”, “Just As The Sun Went Down”, “Just In Time”, “Look On The Brighter Side”, “Lovely Name Of Jesus”, “Loving Shepherd Gracious God”, “Master Of The Sea”, “Meet Me At The Table”, “My God Forgets”, “My Past Has Passed”, “Next Cloud”, “One Way Trip”, “Real Good Feel Good Song”, “Reverend Everette Beverly And Sister Anna Laura”, “Ring The Bells Of Freedom”, “Safe Now”, “Saints Will Rise”, “Satisfied”, “Shake Hands With A Poor Boy”, “Shoutin Happy”, “So High”, “Stand Up”, “Sweet Peace”, “Talk To The Man”, “Tell Everyone You Know”, “Upper Window”, “We Do Not Die”, “What I Found At The Altar”, “When God Ran”, “When Mama Prayed”, “When My Feet Touch The Streets Of Gold”, “Wish You Were Here”, “The Word”, “You Keep Praying”, “You’re Not Alone” and “Your Ride’s On The Way”. Here is a YouTube clip, published by herecalico, of the Kingsmen at the height of their career (circa 1983) performing “Child, Child”. Enjoy! The top ten most influential artists in Southern Gospel music continues this week with the artist ranked 7th; the Hoppers. Outside of the Speer Family (that celebrated 75 consecutive years in Southern Gospel music), the Hoppers is the longest running family group in Southern Gospel history (celebrating 56 consecutive years). The Hopper Brothers started singing in 1957. 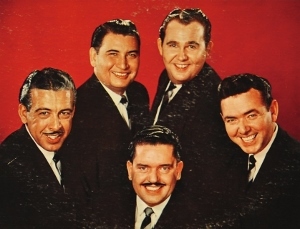 Connie would join in 1958 as the group’s piano player and the group became known as the Hopper Brothers and Connie. Claude and Connie would marry in 1961 and the group would release their first album in 1962. By 1982, the Hopper Brothers and Connie shortened their name to the Hoppers. Brother Will (tenor singer) and Roger and Debra Talley left in the early’s ’80’s. As a result Greg Bentley, Shannon Childress, Stephanie Hopper and Sharon Watts became a part of the Hopper legacy in the 1980’s. By 1990 Dean had married Kim Greene who had joined the group and gave the group the vocal configuration they still enjoy today (23 years later). 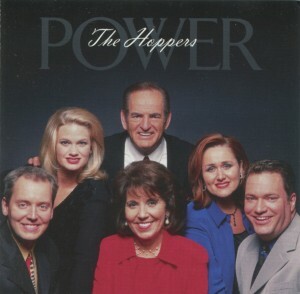 This version of the Hoppers have become one of the premier artists touring in Southern Gospel music right now. The success of songs “Jerusalem” and “Shouting Time” generated influence that will be felt in Southern Gospel music for years to come. The Hoppers are one of the most successful family groups in the history of the Singing News fan awards. Collectively the group has won a total of 47 fan awards including favorite mixed group 11 times. 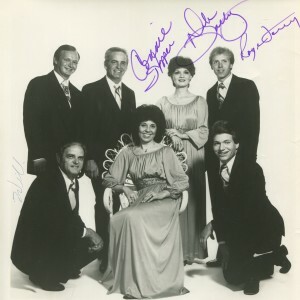 The Hoppers have also been inducted in to the Gospel Music Hall of Fame and Connie became an inductee in to the Southern Gospel music hall of fame in 2010. The Hoppers are still shaping influence in Southern Gospel music. If we were to look back on this topic in 10 years, the Hoppers will undoubtedly be ranked higher. Artists that have already been influenced by their music include: Beene Family, Bradys, Browns, Cedar Ridge, Collingsworth Family, Crist Family, Dills, Greenes, Johnson Edition, Sneed Family, Taylors and Thurstons. Hit Songs: “Already Mine”, “Anchor To The Power Of The Cross”, “Blame It On Love”, “But For The Blood”, “Citizen Of Two Worlds”, “Come To The Wedding”, “Count Me In”, “Cross Now Is Empty”, “Cross Was His Own”, “Don’t Give Up The Fight”, “Follow Jesus”, “Foot Of The Cross”, “Forever Settled”, “From Disgrace To His Grace”, “Go Ask”, “God Is Good”, “God Raised The Ransom”, “Heavenly Honey”, “He Didn’t Just Carry The Cross”, “Heavenly Sunrise”, “Here I Am”, “He’s Still God”, “He’s Still In Business”, “Home Is Where The Heart Is”, “I Am”, “I Wonder What They’re Thinking Now”, “I’ve Come Too Far”, “Jerusalem”, “King’s Highway”, “Lord Don’t Move That Mountain”, “Marriage Supper Of The Lamb”, “Mention My Name”, “Milk And Honey”, “One More Time”, “Pure Mercy”, “Smoke Of The Battle”, “She Cries”, “Shouting Time”, “Something’s Happening”, “Stand For Jesus”, “Step Along”, “Stepping On The Clouds”, “That’s Him”, “There’s Something Going On”, “Think On The Good Things”, “Victory Shall Be Mine”, “Walk Right Out Of This Valley”, “When He Comes Down”, “Where The Good Things Are”, “Yes I Am”, “You Gotta Live Like Jesus”, “You’ll Be There” and “You’re Home To Stay”. Here is a YouTube clip, from our very own MusicScribeBlog channel, of the Hoppers performing one of the greatest songs of their career; “That’s Him”. Enjoy! The top ten most influential artists in Southern Gospel music continues this week with the artist ranked 8th; the Happy Goodmans. The Happy Goodman Family was started by Howard Goodman in the late 1940’s with all eight brothers/sisters singing with the group at some point during this time. 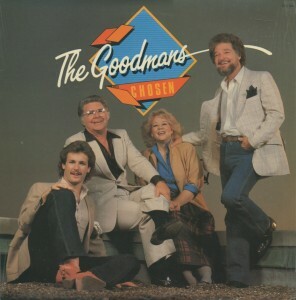 The Happy Goodman Family that Southern Gospel listeners are familiar with started in 1962 with the vocal line up of Howard, Vestal, Rusty and Sam. 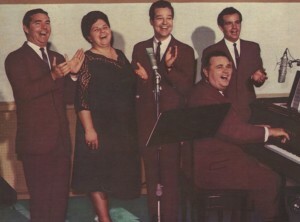 Two years later, the Goodmans would join with the Florida Boys, Dixie Echoes and Couriers to be mainstays on the Gospel Singing Jubilee television program. 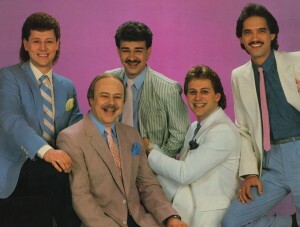 Their popularity soared as a result of their appearance on the Gospel Singing Jubilee. 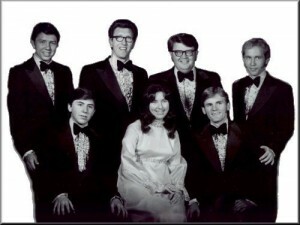 They left the Gospel Singing Jubilee to start their own television program in 1974 and easily became one of the biggest Southern Gospel artists of the 1970’s. By 1980, creative differences saw Howard and Vestal leave the Happy Goodmans. The Goodmans continued with Sam, Rusty and Tanya for a couple of more years before the group retired. Howard, Vestal, Sam and Rusty would come together one last time to record The Reunion in 1990. The Happy Goodmans would also see one last stint as a result of the popularity of the Gaither Homecoming videos in the 1990’s with Howard, Vestal and Johnny Minnick doing selected dates and recording several albums. The Happy Goodmans won 19 Singing News fan awards during the course of their career including group of the year in 1970 and 1973. The Goodmans two Dove awards came in 1969 with Vestal winning female vocalist and in 1976 when Johnny Cook won male vocalist. The group also picked up a two Grammys. One in 1968 for the recording, The Happy Gospel and another in 1978 for the album, Refreshing. The Happy Goodmans musical influence can/could be seen in the following artists: Atoned, Beene Family, Big Mo & Chosen, Diplomats, Galileans, Haire Family, Hoskins Family, Naomi & Segos, Perkins Family, Rowlands, Perrys and Wilburns. Hit Songs: “Better Hurry Up”, “Cloud He’s Coming Back On”, “Eastern Gate”, “God Walks The Dark Hills”, “Greatest Love Story”, “Green Pastures”, “Had It Not Been”, “Hallelujah”, “He Said Peace”, “Heartbeat From Heaven”, “He’ll Come As No Surprise”, “How Much More”, “I Believe He’s Coming Back”, “I Hold A Clear Title”, “I Saw The Man”, “I Wouldn’t Take Nothing For My Journey Now”, “I’m Too Near Home”, “It’s A Wonderful Feelin”, “Just Any Day Now”, “The Lighthouse”, “Living In Canaan Now”, “Look For Me”, “Meet Me Over On The Other Side”, “Not In A Million Years”, “Old Gospel Ship”, “Pity The Man”, “Shoutin Sounds”, “Sweetest Song I Know”, “Take Me In The Lifeboat”, “Thank God I’m Free”, “This Is What Heaven Means To Me”, “That Sounds Like Home To Me”, “Until You’ve Known The Love Of God”, “What A Beautiful Day”, “What A Happy Time”, “What A Lovely Name”, “When It All Starts Happening”, “When Morning Sweeps The Easter Sky” and “Who Am I”. Here is a YouTube clip, published by lorettafan1, showing the Happy Goodmans at their best (especially Vestal) performing “This Is What Heaven Means To Me”. Enjoy!